Do you want to save big $$$ on your heating an cooling bill? You don't want to become an IT expert and learn about about WiFi and wires? Would you like somebody friendly to show up and take care of the setup for you? 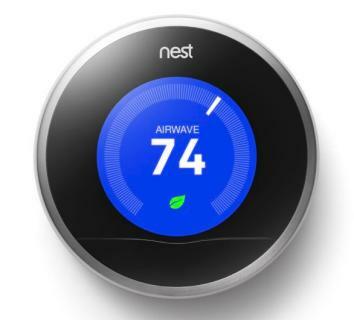 Are you having trouble with your WiFi but still want to use NEST? Do you live in Northern Illinois, NW Indiana or Southern Wisconsin? If you answer YES, to any of the questions above, contact us to setup and appointment. Call 847-350-9119 or click on the Service Request link above. Let us be your resource for IT consulting and support. We provide support for all computer related issues including: Networking, Security, Email, Compliance, Data Backup, Data Recovery, Virus & Spyware Issues as well as other technology related issues. Do you want to see the same emails, contacts and calendars to be in sync on all your devices? Do you want to use a low cost CRM (i.e. Zoho CRM vs SalesForce CRM) ? Do you want to have your own custom Database - on the web - and not have to worry about backup? Would you like to have the ability to share large attachmentswithout any hassle? If you answer yes to any of the above questions, then Google Apps is for you. We can setup your Google Apps account in just one weekend. We also work with your Web designer and your domain registration company to make sure migration to Google Apps is done without interrupting your business.